”Wow! 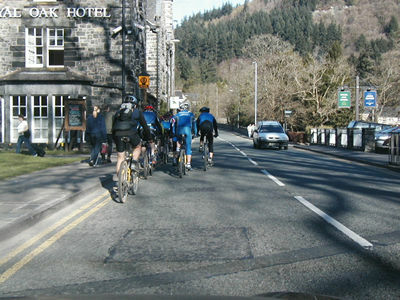 Mountain bikers certainly are a receptive bunch of individuals! 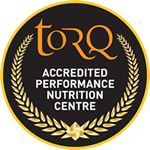 At the 2002 TORQ fitness weekend in Snowdonia, Matt invited me to present an introduction to the gentle yet powerful art of ‘mind training’ with instructions for overcoming pre-race stress/anxiety, enhancing focus/concentration and boosting mental endurance. 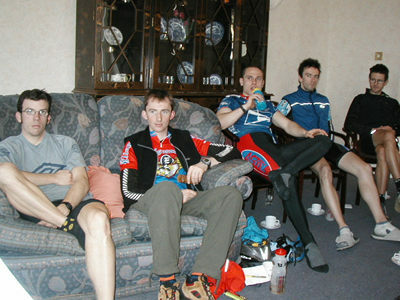 This March (2003) saw me back there again after a second invitation from Matt who has become increasingly interested in Sports Psychology and in particular how hypnotherapy could be used to boost both mental and physical performance. After leading a group workshop with a question and answer session and some gentle group relaxation, four of the group had decided to really go for it and have a one to one session with me. During these sessions I was able to teach them self-hypnosis, a natural, useful tool to help generate the perfect pre-competition mindset. If one suffers from pre-race anxiety for instance, well-practiced self-hypnosis would banish the unhelpful irrational triggers that generate an anxious mood state. A word of warning however! Self-hypnosis is only as good as the person who uses it and is not a miracle cure. So, just as you need to train your body on a regular basis to achieve peak performance, so you also need to train your mind to accept that you will perform at your peak as often as possible. In other words, use the technique or lose it! Everyone who wants to perform better should give mind training a whirl and it should really be used regularly to build up different techniques for different situations, just the same as with physical training”. As a young child you touch a brass light switch and it’s not earthed properly – you get a nasty shock! In your subconscious mind, a seed has been sown “beware of brass light switches!! !” So from now on you avoid touching brass light switches, because you don’t want a repeat of the experience. You may avoid light switches all together for a while, but this is impractical and your parents have a word with you “You can’t get a shock of a plastic light switch, because plastic is not a conductor – you’ll be fine”. This advice sets you straight and you soon build confidence to touch light switches again, but only plastic ones, because your parents words have only re-enforced the concept that metal light switches ‘might’ give you a shock (if plastic isn’t a conductor, you soon figure out that brass is). The more you avoid the brass light fittings, the more you develop this subconscious fear, until for absolutely no rational reason whatsoever you’re not just wary of brass fittings, simply just can’t touch one for love nor money. If you were forced to, you’d become anxious, sweat and try every trick in the book to get out of it. You now have a phobia and it’s totally irrational. You touched a light switch as a child, got a relatively harmless shock and now in your adulthood, your subconscious mind is telling you to feel deeply threatened. If you’d never had this experience in childhood and touched a brass light fitting in a hotel in your adulthood and got a shock, you’d rationalise the experience. Your subconscious mind would say “Hmmm, in my life I’ve touched hundreds of brass light fittings and that’s never happened to me before, I’d better go and have a word with the proprietor”. You’d then continue about your daily business and because of your huge vault of successful brass light fitting experiences, you’d not give it a second thought. This is what hypnotherapy can do for you. It can help you to rationalise when your subconscious mind is running riot with some far-flung unlikely idea. It would help the brass light fitting phobic come to terms with the fact that getting a shock of a brass light fitting is highly unlikely and if it were to happen again 1) Statistically he/she would be unlucky and 2) It’s highly unlikely to kill them. The person can then start to rationalise and the worry is no more? It’s all about what we’re conditioned to believe and sports people worldwide have used hypnotherapy to help them deal with their performance-sapping gremlins. In the July/August issue of ‘Men’s Fitness’ magazine, the editor interviewed Paul McKenna, more commonly known for his entertaining stage hypnosis. He also runs a serious hypnosis training company though and believes that absolutely everyone is susceptible to hypnotherapy – you just need to vary the induction. Among his private clients are Andy Cole, Greg Rusedski, Dan Luger, Adrian Moorhouse, Roger Black, Nick Faldo and Nigel Benn. Other deeply focussed athletes like good old Lingford Christie may also have had hypnotherapy, but it’s quite possible that people like Lingford naturally possess the skills of self-hypnosis. Through practice they get themselves into a hypnotic trance, but consider this a completely normal set of events. Most people will be travelling up after a day’s work and I anticipate that some people may not arrive until10-11pm, perhaps later. I myself expect to get there by late afternoon, after I’ve marked out the routes, but don’t worry if you arrive before me, just book in at reception and you’ll be directed to your room. I will see you in the bar later. Discussion with Matt about how many intervals you’re going to do!! Sports Psychology Questionnaire handout (to be completed by tomorrow’s session). 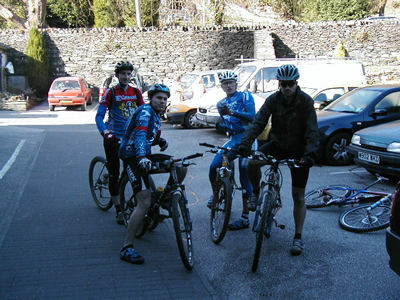 9:00 ‘Group Interval Training in Betws’. This will include a good morning warm-up, so we’ll take a climb up to the lake to get the legs going. This will work best if we all stick together at this stage, so the fitter ones amongst you will need to double back every now and then. Once you’re warmed up we’ll get going with the intervals. I will be putting you into similar ability groups and the amount you do will depend on what I reckon you can handle (democratic as ever)! 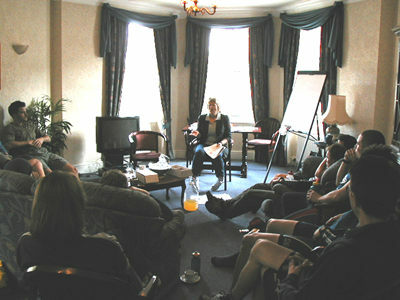 12:00 ‘Sports Psychology Workshop with Hillary Norris-Evans’. Those of you that attended last year will remember Hillary and five of you were so impressed that you’re having one-to-ones with her this weekend. Hillary is a practicing hypnotherapist and has kindly agreed to run an informal workshop with us to help you to recognise how to make best use of your mind during riding, racing and training. The clear message I want to deliver this weekend is ‘don’t underestimate the power of your mind’ and hopefully Hillary will help you to unlock the power in yours. This session will no doubt be accompanied by tea and coffee. 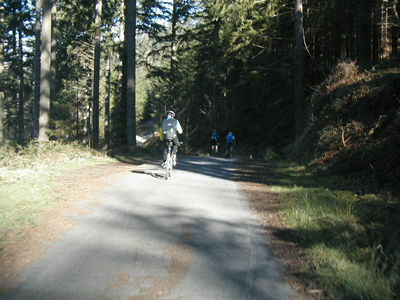 15:00 ‘’The Marin Trail’. Yippee! For those who have yet to ride it, the best way I can possibly describe the experience is ‘Theme Park for Mountain Bikers’. The idea is to ride steadily at L2, but the nature of the route may make this a tad difficult to do so. That said, if the interval session has worked it’s charms, you shouldn’t have a lot of top-end power left, so you’ll be forced to grovel at Level 2 up all the steep hills anyway. The aim of this session is to keep the riding at tempo (between RPE 4 and 7) and not to fly off at race pace. 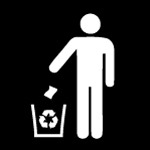 Save that until tomorrow. One lap of this route will take 1½ to 2 hours, so I would expect you to cover between 1 and 3 laps depending on your ability. There is an option to shorten a lap, so half laps will be acceptable, as long as you set out to do what you’ve planned. 19:00 Fitness Discussion: Legal Ergogenic Aids that work! If someone were to hand you a pill that they claimed would boost your performance, there are a number of issues you’d need to address.  Is it illegal (banned by the IOC), is it safe (will it harm your health) and does it do what it says on the tin (proven through reliable scientific testing)? I’m going to present a summary of the various legal ergogenic aids that are ‘proven’ to work and we’ll be discussing how and why – and of course, whether they’re safe or not. 20:30 Dinner (menu to follow). Silly after dinner games for those that still have the energy. 9:30 ‘Race-paced simulation in Beddgellert’. We’ll need to leave the hotel by 9:00am, because it’s a bit of a drive to the start. 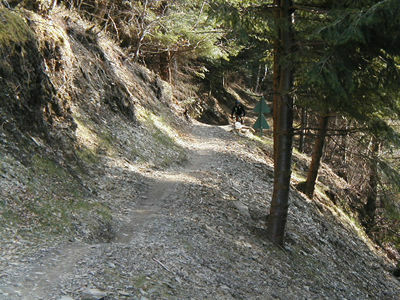 This is a fantastic route, slightly modified from last year and is made up of a combination of wide forest tracks and rocky climbs/descents (real Mountain Biking). Each loop will take between 45 minutes and an hour, so I’d expect you to be completing between 1 and 4 laps, dependent on ability. 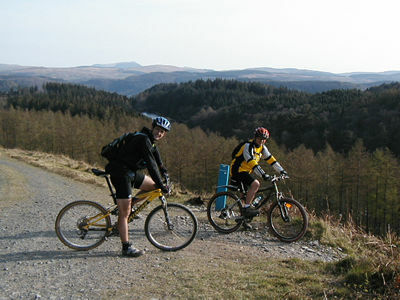 This is a chance to enjoy some real Mountain Biking as well as an opportunity to finish your legs off once and for all. 15:00 Fitness Discussion: ‘How can I help you more’? This is a chance for you to tell me how to be a better coach. Is there anything that you think I could feasibly do that would heighten the level of service I offer you? I’ve also got a few requests of you lot too. Busy Giant NRS NPS 1.